When I was tending to my herbs I have planted in my mini-garden at my house last week, I became inspired to write about herbs. I never did much with herbs until I became involved with the Cosmic Apple Gardens. Now I love them so much I grow them in my own garden and am excited to get a different herb (or two) from Cosmic Apple every week. Herbs are great for dressings and marinades. I also make sure to dry plenty of each kind of herb to have for the winter. Because they lose their freshness (and nutritional value) over time, I replace my dried herbs every summer. Luckily, it’s easy to dry herbs in our non-humid climate. I wash them, then pat them dry and spread them out on a cookie sheet or plate until dry, about 2-3 days when the leaves turn crumbly. Then I remove the leaves from their stems and store them in glass jars for the year. No more buying herbs from the store that could be years old! I just learned from Farmer John’s Cookbook that you can freeze most herbs, too (except delicate basil and cilantro). To freeze, chop the leaves and put them in ice cube trays; add 1 inch of water. After they are frozen, remove the cubes from the tray and store in plastic freezer bags. Each cube equals about 1 Tbls fresh or 1 tsp of dried herb. 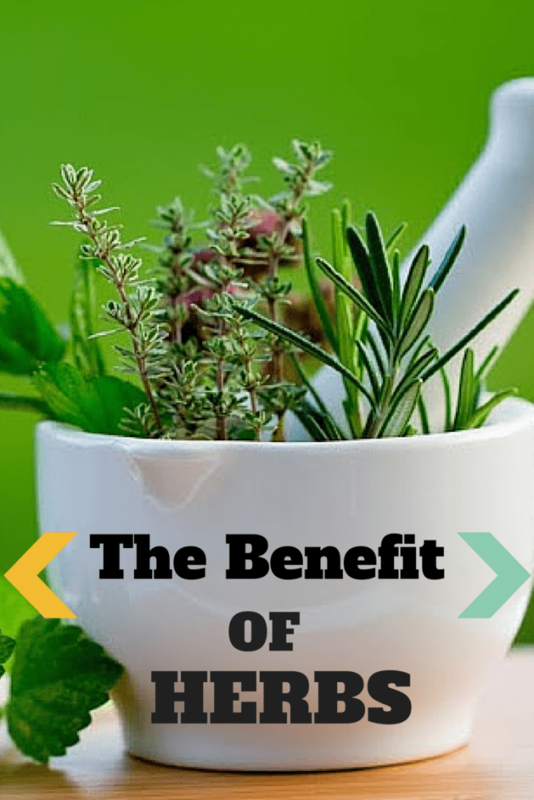 Besides adding flavor to dishes, herbs have nutritional and therapeutic value as well. Herbs protect fats from oxidation when they are cooked. Herbs and spices have anti-bacterial, anti-viral and anti-cancer properties. They are high in B vitamins and trace minerals and have more antioxidants than fruits and vegetables. Basil is anti-inflammatory while dill and mint help settle a queasy stomach. Thyme can be used to treat fungal and yeast infections. Oregano has been shown to fight food-borne pathogens like listeria. Herbs are great in eggs, soups and salads, to name a few. I try to add fresh herbs to everything I eat. You can make herb-infused vinegars, butter, salad dressing and marinades. Be grateful to be eating this amazingly nutritious food all summer and even throughout the year if you freeze or dry them. Put the herbs in a pint jar. Heat the vinegar in a medium, nonreactive pot over medium-low heat until it reaches almost a simmer (be careful not to boil). Pour the vinegar over the herbs and cover tightly with a nonmetallic lid or with 2 layers of plastic wrap and a metal lid. Set the jar aside in a cool, dark place for 2-3 weeks. Strain the vinegar through a coffee filter or a strainer lined with cheesecloth. Repeat until the vinegar is completely clear. Pour the strained vinegar into a clean, sterilized, nonmetallic jar or bottle. For a pretty touch, add a clean and dry sprig of the fresh herb with its flowers. Cap the jar of bottle with a plastic or plastic-lined cap or a new cork. Tightly sealed and stored in the refrigerator, the herb-flavored vinegar will keep for several months.